The 2018 Hyundai Kona is sure to turn heads with its unique styling. And its combination of features, interior packaging, an available turbocharged engine, and high-tech safety gear is sure to open its share of wallets, too. Going head-to-head with the Honda HR-V, Toyota CH-R, Subaru Crosstrek, Jeep Renegade, Chevy Trax and many others, the Kona makes a compelling case for itself. Its small yet spacious and has AWD. The kona offers a great deal of comfort and reliability. Even though I have a basic model it comes with Bluetooth for your phone, apple carplay which was a big contributor to the safety features while choosing this vehicle. There is one thing I would like to add sense I am a daily driver, would just be lumbar support. Overall this car is a perfect fit for people just like me who are active and like different weather climates. Most of all it is affordable. 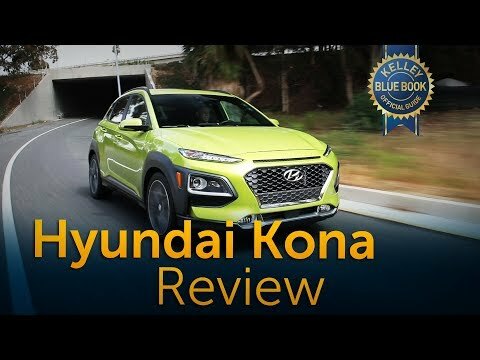 The Hyundai kona is playful and inexpensive, making it one of the more appealing subcompact SUVs on the market. I originally wanted a Subaru however they are a bit out of my price range and when going to the Hyundai dealership they sold me on their kona crossover. I love the backup camera and how smooth the car drives having AWD was a must. It is a reliable spacious vehicle and I look forward to growing into it more when the time comes to have a family, there is plenty of room in the back for car seats. The kona has serious get-up-and-go with the turbo engine, and you can get a metric ton of great features for under $30, 000. Hyundai's newcomer packs some pretty aggressive angles, but my eyes keep landing at certain spots. Split headlights are nothing new and are cool looking. Thankfully, the kona once again redeems itself with fuel economy. The epa says the 1. 6-liter, AWD kona will achieve 26 mpg city and 29 mpg highway. I am right about on par with city economy, but once I hit the highway, I see numbers in excess of 30 mpg with little conscious effort. Has it is faults but I would recommend this car before anything American. I like how tall I sit. The screen is higher up on the dash instead of being embedded low and I really like that since it makes looking at the screen for GPS and other purposes easier. It drives smooth and I am glad I have the option for AWD so I feel safe in slippery situations. The gas mileage is pretty good which is important in la. The car apple play is a great feature. Sometimes the port to plug in my phone for the apple play does not like working. I have tried different cables in case it was my problem, but I think it is the car. Overall I am extremely happy with the Kona and would recommend it to others. Our Kona is fairly new, so have not had any issues and not expecting any since it is such highly rated brand. We love it. I mostly drive I it. The exterior is very stylish, interior has a lot of useful features including, apple carplay, phone system, heated seats, automatic adjustable seats, lane change precautions and other contemporary up to date safety features, push button start, moonroof, 25-27 mph city & 31-34 highway. Very comfortable on long trips, handles and performs very well, a lot of zip giving it a sporty feel.